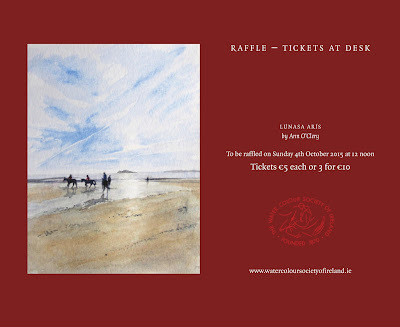 The Annual Exhibition of the Water Colour Society of Ireland is nearly upon us again. 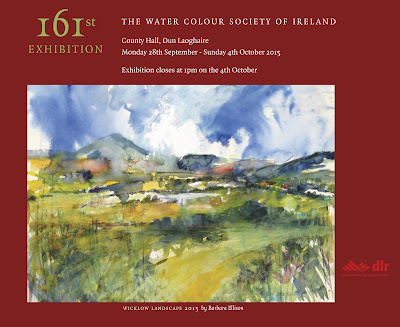 This year is the 161th Exhibition! Handing-in day is on Tuesday 22nd September. Here is a sneak peek at the catalogue cover which features a wonderful painting by Barbara Ellison. On the back cover we have a beautiful painting by Ann O'Clery (Society President) which will be raffled at the exhibition. Elated to know about this annual exhibition. Few weeks ago, I arranged an art exhibition at one of elegant LA event venues. Hired a reputed photographer and he took amazing pictures of wedding. We enjoyed this party a lot.